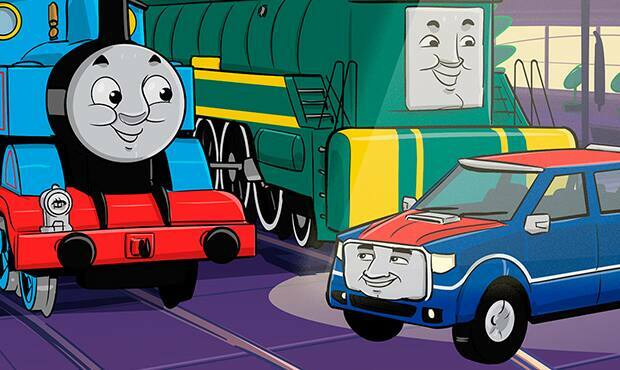 The AFL is pleased to announce a second series of the Thomas & Friends collaboration has been launched today, featuring a special guest appearance by Geelong’s Gary Ablett Junior. This year, three episodes have been produced and centre around Thomas the Tank Engine returning to Australia to help find the missing AFL Premiership Cup alongside his friend, Shane the Train voiced by Richmond great Matthew Richardson. During his search, Thomas reunites with his friend Tracy the Tramwho is now working in Adelaide and voiced again by Brisbane Lions AFL Women’s star Sabrina Frederick-Traub. In an exciting appearance is Thomas’ new Australian friend Gary the Ute, voiced by one of the AFL’s greatest players, Gary Ablett Junior. AFL General Manager Digital, Growth and Audience Darren Birch said the first season of Thomas & Friends’ Australian Football adventure garnered large viewer numbers. “We’re excited to release the second series of our collaboration with Thomas & Friends as the first saw over one million views of the four episodes. The partnership opened the AFL up to a whole new audience in Australia as well as internationally through the Mattel network,” Mr Birch said. The first series of Thomas & Friends’ AFL Adventure can still be seen on the AFL Kids channel on YouTube.